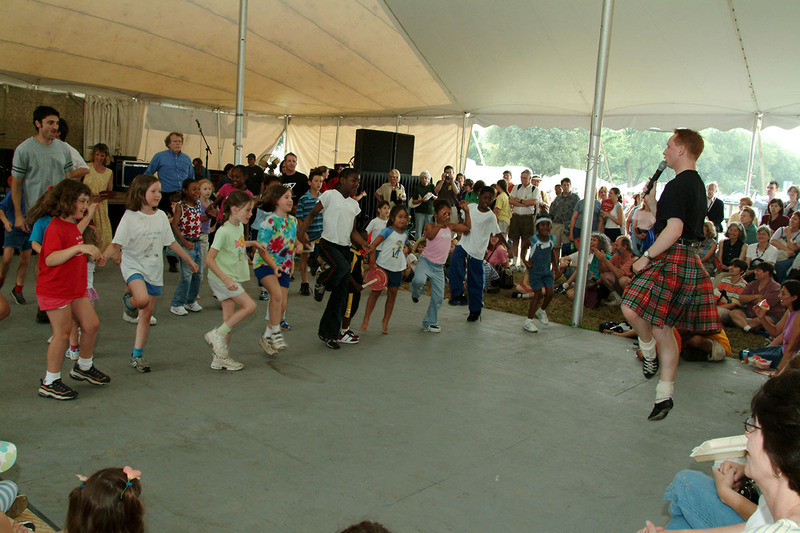 2003 Smithsonian Folklife Festival, Scotland at the Smithsonian program (2003-20338-14). Photograph by Dane Penland. Courtesy of the Ralph Rinzler Folklife Archives and Collections, Smithsonian Institution. 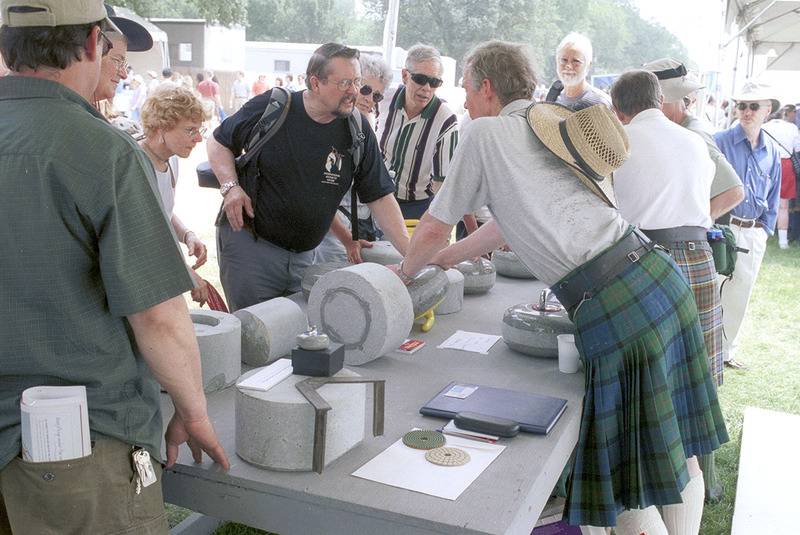 2003 Smithsonian Folklife Festival, Scotland at the Smithsonian program (2003-20338-17). 2003 Smithsonian Folklife Festival, Scotland at the Smithsonian program (2003-42748). Photograph by James Di Loreto. Courtesy of the Ralph Rinzler Folklife Archives and Collections, Smithsonian Institution. 2003 Smithsonian Folklife Festival, Scotland at the Smithsonian program (2003-42775). 2003 Smithsonian Folklife Festival, Scotland at the Smithsonian program (2003-42780). Photograph by Hugh Talman. Courtesy of the Ralph Rinzler Folklife Archives and Collections, Smithsonian Institution. 2003 Smithsonian Folklife Festival, Scotland at the Smithsonian program (2003-42789). Americans tend to have a very positive impression of Scotland. Many Americans - including a majority of our presidents and "Founding Fathers" - have claimed some Scottish or Scots-Irish ancestry. Most of the foundation stones of our political system - including our Constitution - owe a significant debt to the Scottish Enlightenment. 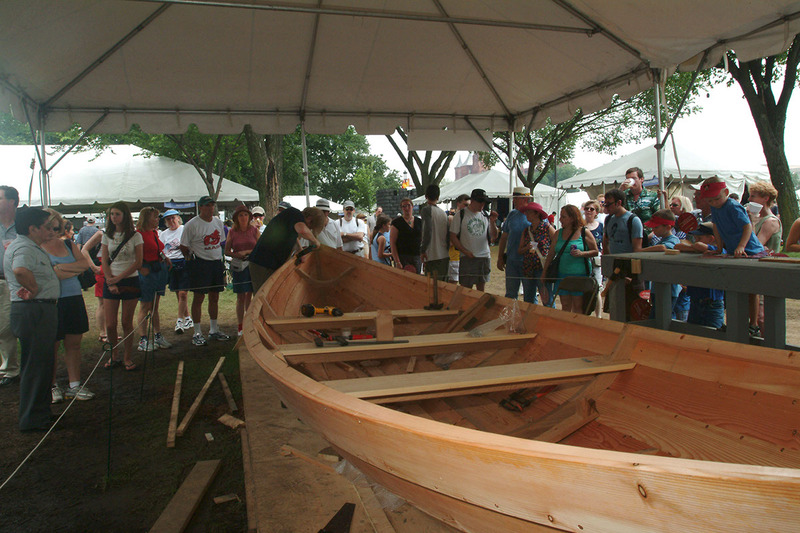 And since the 17th century, Scottish engineers, inventors, educators, scientists, naturalists, artists, and craftspeople have helped shape and guide America's industry, education, and cultural and social life. In recent years, huge numbers of Americans flocked to films depicting Scotland's stunning Highland glens, mist-enshrouded islands, stately castles, and passionate patriotism. And the kilts, bagpipes, shortbread, and heather - it's not that they don't exist, it's just that the real Scotland is even more varied and interesting than the stereotypes. Contemporary Scotland is a sophisticated, modern nation; its 5.1 million people in 2003 are among the best educated and most widely traveled in the world. The majority of Scots live in urban areas along the Central Belt, a swath of land that runs from the ancient capital city of Edinburgh on Scotland's east coast to post- industrial Glasgow on the west coast. The Central Belt is only 40 miles wide, but the cultural gulf between Glasgow and Edinburgh and their respective coasts is as noticeable as any between New York and Los Angeles. In fact, the regional diversity of Scotland - a country slightly larger than Connecticut, but smaller than Hawai'i - is difficult for Americans to fathom. Scots are deeply proud of their home region: be it the beautiful hills of the Borders Region, the broad, fertile farmland of Aberdeenshire, industrial mill towns like Dundee or Galashiels, the spectacular Highland glens of Wester Ross, the stark but stunning Shetland Islands, or the medieval cityscape of Edinburgh's Royal Mile. 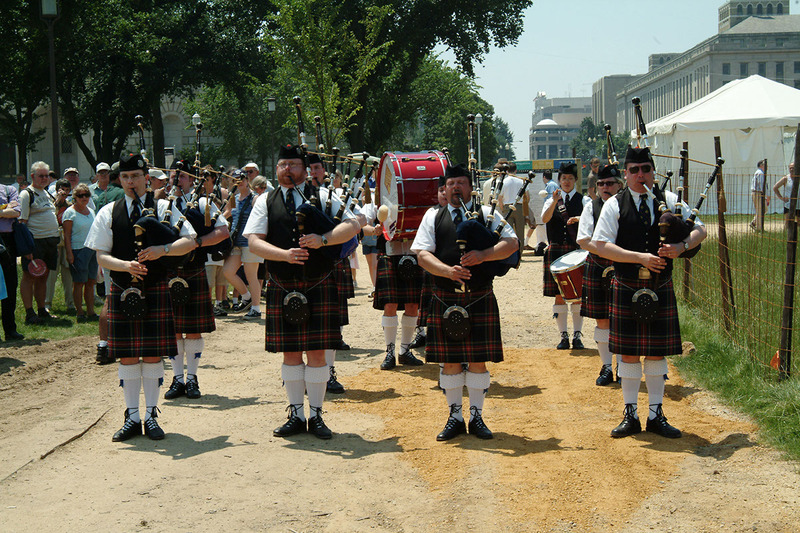 Each of Scotland's many regions has its own distinct look and unique history, dialect, folklore, and cultural traditions, and the Festival set out to celebrate this diversity on the National Mall. 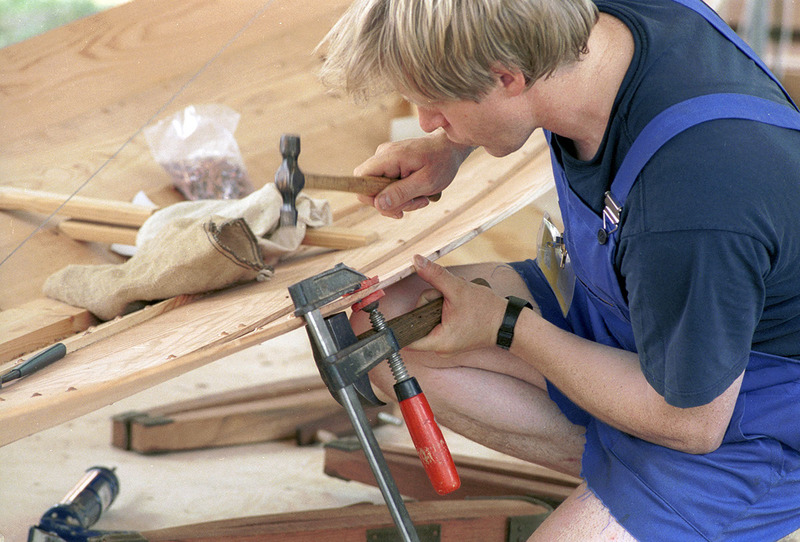 In addition to a broad program of Scottish music, dance, and folk theater, visitors could enjoy demonstrations of tartan weaving and designing; Harris Tweed weaving; silversmithing; Shetland basket weaving; Orkney chair- making; kiltmaking; whisky-distilling and the related skills of malting, cooperage, and coppersmithing; Fair Isle boat-building; heraldry; genealogy and genealogical research; golf club and curling stone making; knitting traditions from Shetland, Fair Isle, and Sanquhar; tapestry weaving; sporranmaking; stonemasonry; gilding and restoration crafts; harp- and bagpipe-making - and, most importantly, they could have the opportunity to interact directly with their practitioners. The 2003 Festival offered visitors the chance to listen to some of the many voices of contemporary Scotland. Being Scots, there was little danger that they would agree with one another, but all the participants invited - outstanding artists in music, song, narrative, and craft - play an integral part in sustaining and shaping the culture of contemporary Scotland. 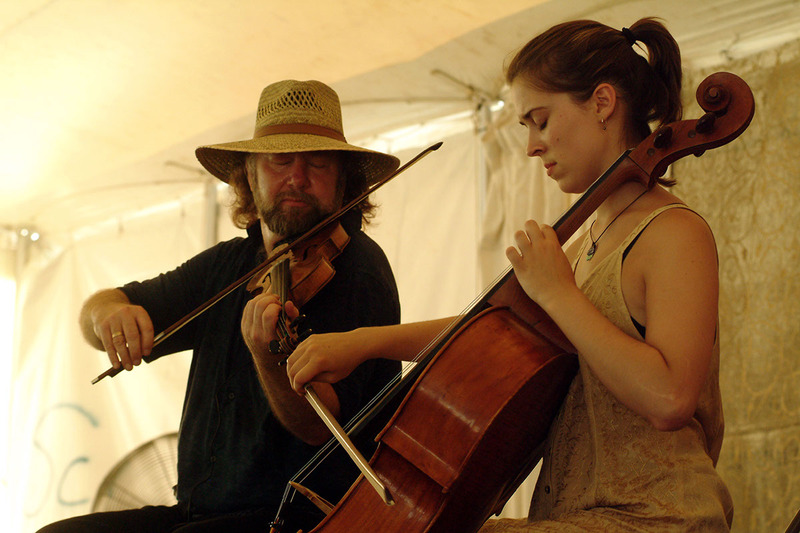 They generously shared their knowledge, talents, and skills with Festival visitors. Nancy Groce was Curator and Stephen Kidd was Program Coordinator; Stephanie Smith was Dance Advisor. The program was produced in partnership with the Scottish Executive, with the collaboration of the Scottish Arts Council, and a donation from VisitScotland. The Leadership Committee was chaired by the Rt. Hon. Jack McConnell, MSP. Major contributions were provided by William Grant & Sons, and Highlands & Island Enterprise. Support was provided by the Shetland Islands Council, Shetland Enterprise, and the Shetland Arts Trust. Additional cooperative efforts came from the University of Aberdeen, the University of Edinburgh, Lochcarron Mills, the Gaelic Arts Agency, the Gaelic Promotional Trust, the General Register Office for Scotland, Historic Scotland, the National Archives of Scotland, and the National Trust for Scotland. Major in-kind support was provided by Landscapes Unlimited and Hurdzan and Fry.